Structuring of materials at the micro-/nano-scale has become a standard method for creating optical, thermal, acoustic, and mechanical properties, which are not possible by traditional stochastic material processing. The new materials created by the deliberate control of their structures have been called “metamaterials” and will play a critical role in the development of future high-performance materials. 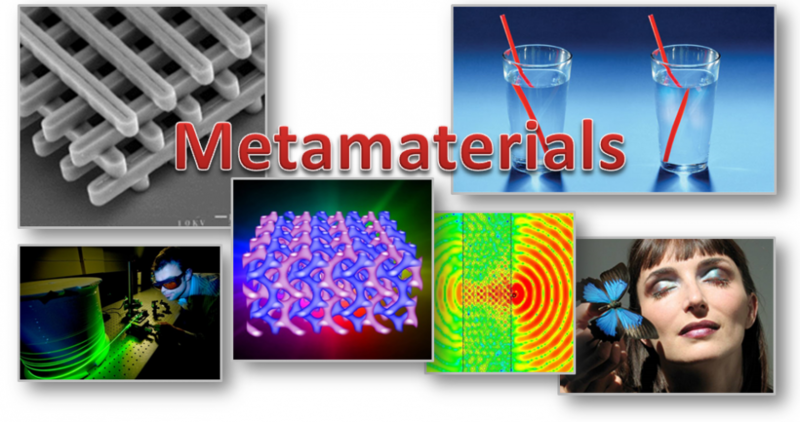 The aim of the course is to provide multidisciplinary knowledge for understanding metamaterials with selected applications. Since lectures will be given at undergraduate sophomore level, this course will be particularly useful for both undergraduate and graduate students, who want to learn these latest advancements in materials science and engineering without special prerequisites. Primary Course Materials: PowerPoint Slides. No required textbook. - Photonic Crystals, 2nd Ed. Joannopoulos, et al. Princeton University Press (2008). - Periodic Materials and Interference Lithography, Maldovan & Thomas, Wiley (2009). - Fundamentals of Photonics, 2nd Ed. Saleh & Teich, Wiley Interscience (2007). - Optics, 4th Ed. Hecht, Addison Wesley (2002). - Solid State Physics, Ashcroft and Mermin, Saunders College Publishing (1976). - Metamaterials, Engheta and Ziolkowski, John Wiley & Sons (2006). - Interaction of quanta with periodic materials. Grading: Midterm 20%; Final 20%; Group project 40%; Attendance 20%. *This course will follow the academic honesty policy.